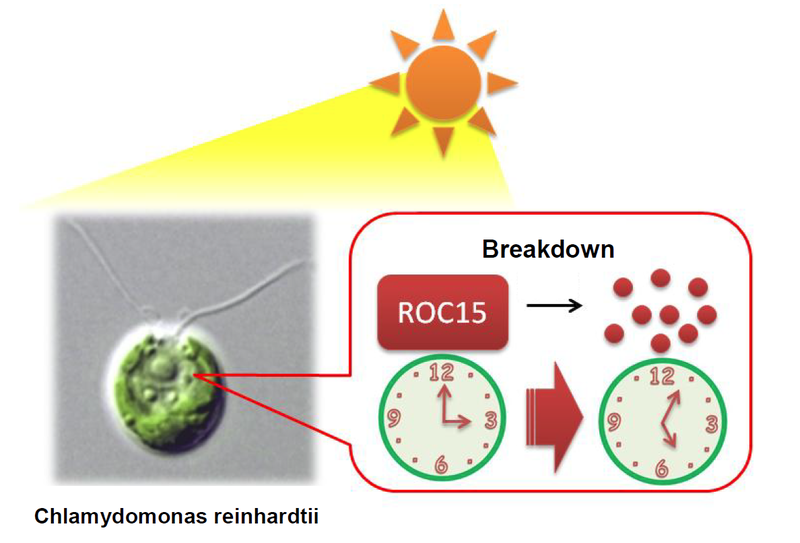 Assistant Professor Takuya Matsuo and Emeritus Professor Masahiro Ishiura of the Center for Gene Research, Nagoya University, and their co-workers have determined a molecular mechanism that the unicellular green alga Chlamydomonas reinhardtii resets its circadian clock in response to light. Their study was published online inProceedings of the National Academy of Sciences of the United States of America on July 29, 2013. In 2008, Prof. Matsuo identified six genes that would have crucial roles in the circadian clock inC. reinhardtii. On the other hand, although it has been known that the green alga resets its biological clock in response to light, the underlying molecular mechanism for this was not yet known. His research team synthesized a fusion gene composed of the clock gene, ROC15 in C. reinhardtii and the bioluminescent gene luciferase in fireflies, and built it into C. reinhardtii cells. Since the gene produces a fusion protein comprising the luciferase and the ROC15 clock protein, the C. reinhardtii cells emit light depending on the amount of fusion protein. Because the amount of fusion protein is equal to the amount of clock protein, the amount of clock protein can be measured by observing the amount of luminescence. As a result, the group discovered that the level of luminescence decreased dramatically after the alga received light from an external source, indicating that ROC15 was metabolized swiftly after C. reinhardtii was exposed to light. In addition, the group subjected C. reinhardtii to jet lag, just like people travelling to Europe from Japan by an aeroplane, and it was ascertained that C. reinhardtii without ROC15 recovered slowly from jet lag. 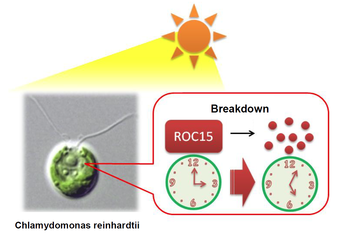 This study discovered that the green alga resets its circadian clock when it receives light, due to the rapid breakdown of ROC15. Green algae are an excellent source of biofuel. Future research can contribute to bioenergy production by controlling the circadian clock in green algae and activating its genes. Human beings regulate their daily life in an ordered rhythm. Unicellulates like C. reinhardtii also have a life rhythm.C. reinhardtii moves to a bright spot for photosynthesis (like people going to work) and at night moves to a place that is rich in nutrition and takes rest (like people returning back home). 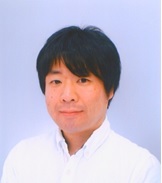 Prof. Matsuo started his research due to an interest in how such a small single-celled organism is able to maintain regular hours. "I would like to carry out further research on how clock genes control various phenomena in cells. In addition, this time we elucidated the mechanism of resetting the circadian clock by receiving light; however, how the green alga receives light has not been explained. I would like to investigate the system of photoreception." "Sometimes I find truth in research that nobody has known in the world. I was really moved on such occasions. Why not experience the pleasure of finding new facts?"